Mohair is a very high quality, natural fiber renowned for its exceptional warmth and outstanding softness. 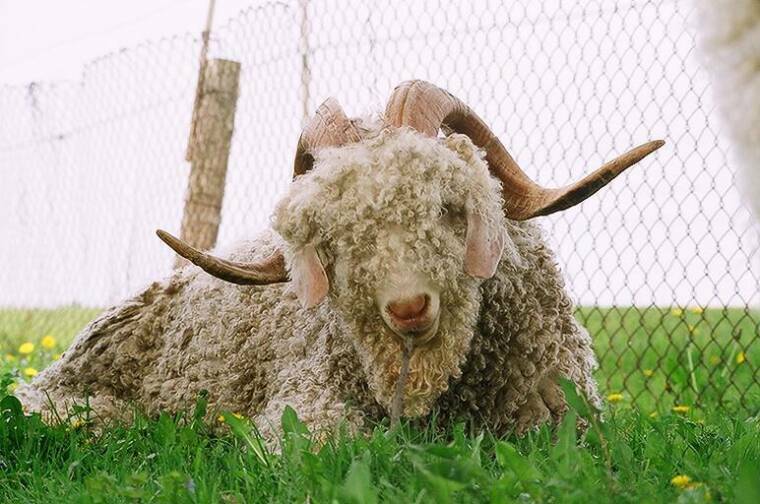 Mohair is the hair of the Angora goat. 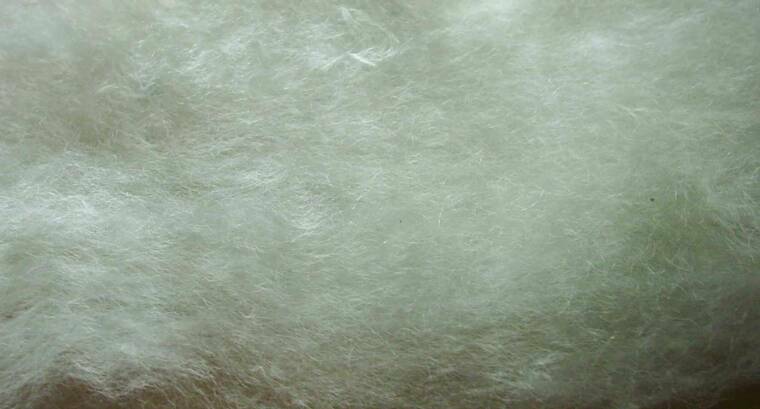 The mohair fiber is smooth, strong and resilient it does not attract or hold dirt particles. It is very lustrous and shiny comparable to silk. 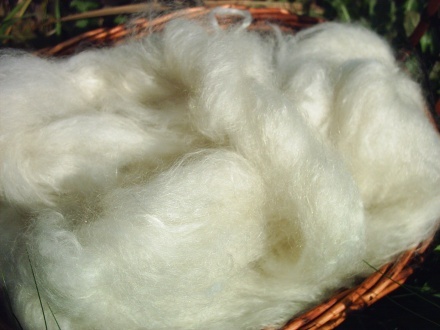 Mohair absorbs dye evenly and permanently and has a wonderful sheen. The colors shine like jewels. These goats are from a long line of national prize winning goats. 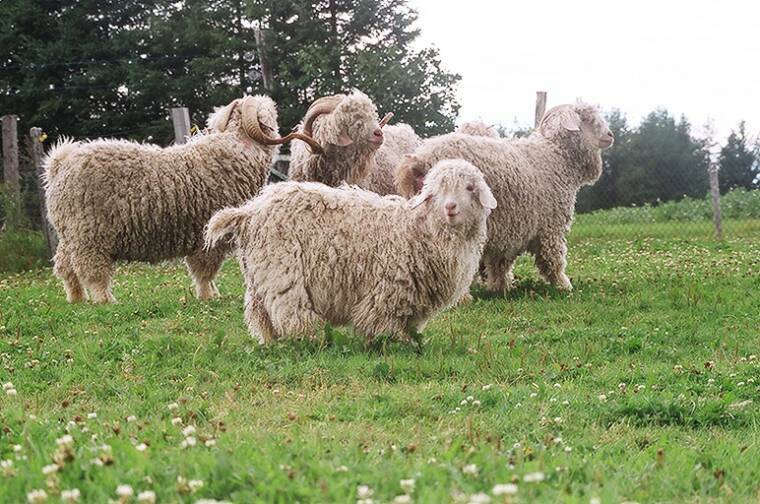 This mohair is from our registered yearling and kid goats raised right here in Canada. Here, at T-Ray Woollies, we process every fleece by hand and we stand behind our mohair 100%. 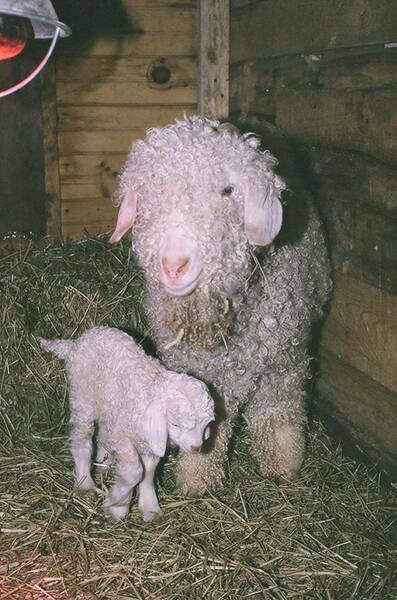 We breed purebred, registered, white Angora Goats. We specialize in providing high quality handspinning fleece, fibre, rovings & raw fleece. We also sell very high quality fine mohair yarns, novelty & handspun yarns. We also have for sale handmade mohair mittens and socks made from the fleece of our very own Angora Goats. If you are a handspinner looking for some lovely fleece or a handdyer who is looking for natural yarn to dye, or if you are just someone with chilly hands and feet then this is your lucky day! Handspinners: We have raw kid and yearling mohair, washed mohair locks and curls, slivers and rovings. Handdyers: all of our mill yarns and novelty yarns have been washed and are ready for dying. All yarns are made with yearling mohair blended with the finest merino wool. The special someone with chilly hands and feet: knit up a pair of socks or mitts using our lovely superkid mohair/charollais blended yarns. Our manufactured socks are also made with kid mohair.